Spotify has been working with Cadillac to integrate the streaming music into the in-dash entertainment system for new and recent models. The app actually started as a quiet roll-out for some car owners earlier this year, accessible through the company’s in-car app store. The app will be available on all new Cadillac models, along with a selection already on the market, including the XTS, CTS, ATS, CTS-V and ATS-V. Spotify walked me through the app in a new Caddy parked outside the iconic U.S. car maker’s flagship storefront on the West Side of Manhattan. 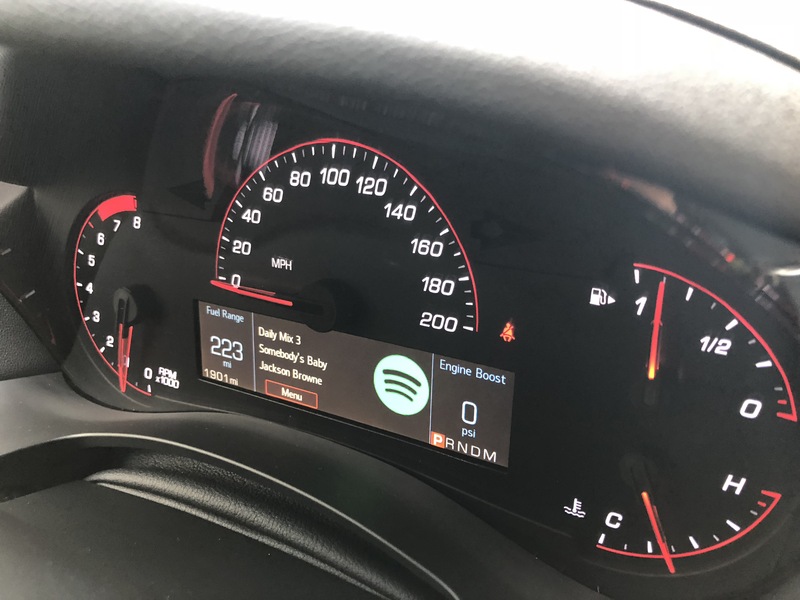 Spotify says it believes the app represents a new kind of in-car model for the streaming service. Aesthetically, it kind of splits the difference between Cadillac’s infotainment system and Spotify’s app design — though the car’s display made the colors look a fair bit more subdued than you’ll find on your phone. Still, the music company’s pretty psyched that it was able to bring over some key stylistic elements, including fonts and such. Spotify’s playlists are the key to the interface. Obviously the key to a successful in-car system is making things as seamless as possible, so the driver can focus on such important tasks as not crashing the car. Rather than scrolling through endless track listings, the app presents collections in a manner similar to the Browse tab on Spotify, with large images representing custom-picked playlists. The downside of this is that it minimizes control over playback. So, you can’t hunt for specific artists, songs or albums. That’s a big downside for obsessive music listeners. There is a keyboard that’s accessible, but that will only pop up when you’ve come to a full and complete stop. The most obvious fix — voice functionality — has yet to be rolled out here. The company says it’s working on a proprietary voice solution. It’s also working directly with Google and Amazon to integrate their voice assistants, but again, none of that at launch. That said, Spotify’s promising “three to four software updates minimum” per year, so hopefully that’s coming sooner than later.